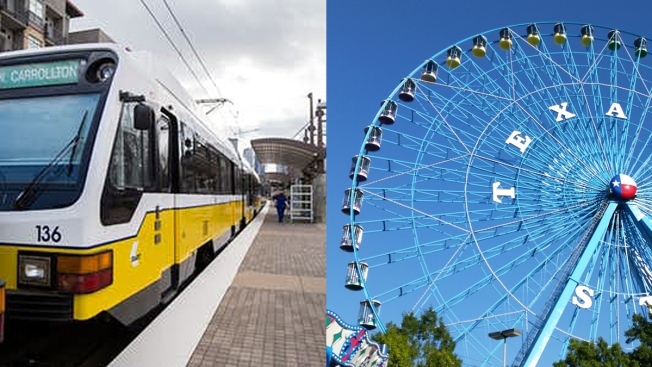 Additional Dallas Area Rapid Transit trains to the State Fair of Texas started Monday. The Fair stars tomorrow, gates open at 10 a.m. The State Fair of Texas runs through Sunday, Oct. 21. • Extra Green Line trains between Victory and Lawnview stations from 9:30 a.m. to 3:30 p.m. weekdays and 9:30 a.m. to 7 p.m. weekends; all trips will feature 3-car trains. • Orange Line extended to Parker Road on all trips, weekdays and weekends (except for Saturday, Oct. 6). 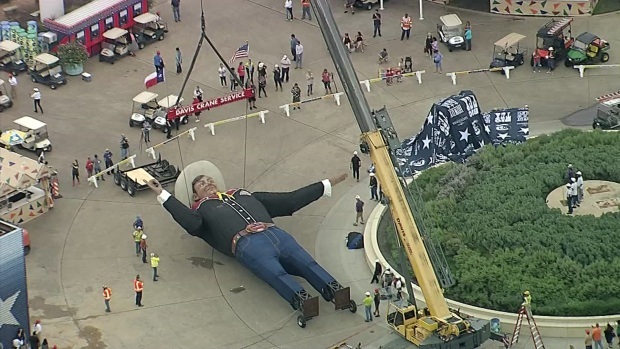 Big Tex, the 55-foot-tall cowboy mascot, took his post as the official State Fair of Texas welcomer at 10 a.m. Friday. • Added Green and Blue line service after 7 p.m. Saturdays and Sundays. • Extra buses on Routes 60 and 409 Fridays, Saturdays, Sundays and Mondays. • Trinity Railway Express (TRE) will operate on all four Sundays during the fair. This schedule will be active through the entire run of the Fair. There is one exception though, Saturday, October 6. DART will operate a special schedule for the Red River Showdown on Saturday, Oct. 6.